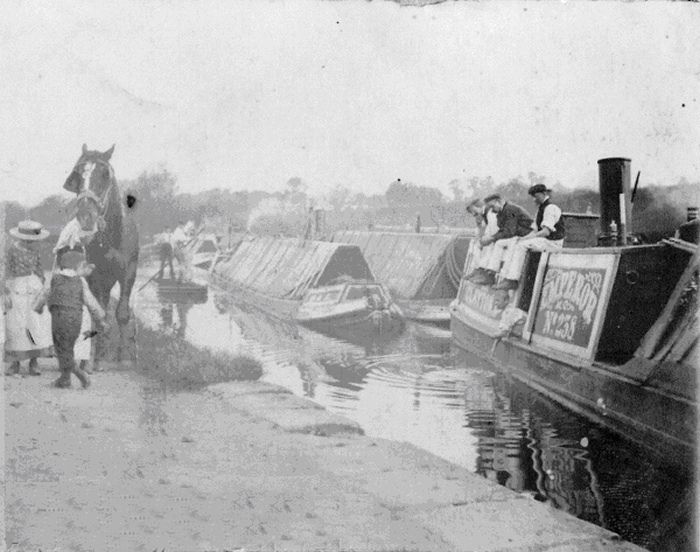 EMPEROR in stoppage at Buckby in 1906. Jim Woodfield is centre of the three men sitting on top of the cabin. Retubed 48 x 1¾’’ in rows both ways. 4 stays only, on each side. Longitudinal stays rivetted.